Some Employers Are Rethinking Telework, Citing A Need For Better Collaboration : All Tech Considered Some companies find that real-time technology demands have forced them to curb their work-from-home policies, even as a growing number of employers continue to embrace remote work. 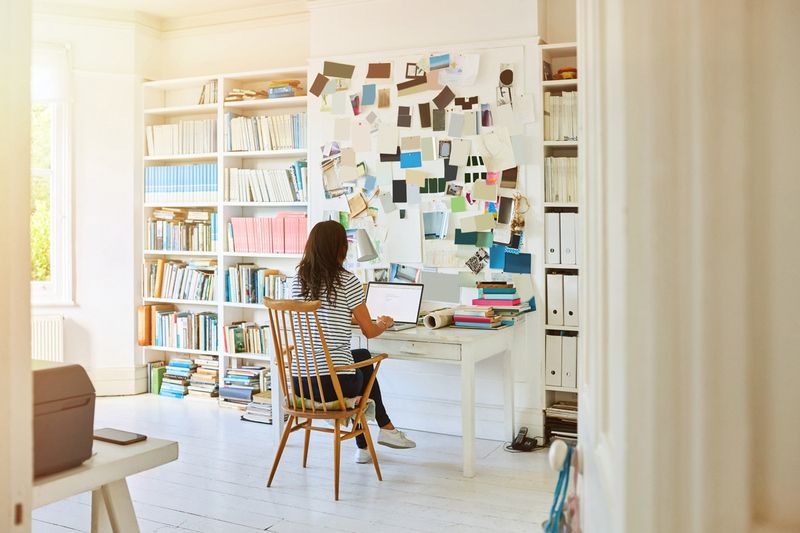 Some companies find that real-time technology demands have forced them to curb their work-from-home policies, even as a growing number of employers continue to embrace remote work. But it has also created demand for continuous updates and real-time collaboration. And that change has driven some companies — including IBM, Best Buy and Yahoo — to recall some of their remote workforces back into the office. In the 1970s, IBM was one of the pioneers of telework, and over time, 20 percent of its employees worked remotely. Last year, it decided to recall some remote-work employees, a move that seemed to go against decades of policies aimed at supporting telework. Diane Gherson, senior vice president of human resources for IBM, says that is not the case. The shift in work policy affects about 2 percent of its 380,000 workers, she says, and reflects changing workplace demands. Millennial employees say they want to work with and learn from their older peers, and IBM's own employee surveys showed those who worked remotely were less engaged or motivated. But most importantly, Gherson says, there has been a shift in how work itself gets done: "This is a real tidal wave, and that is the need for continuous innovation." Gherson says customers expect speedy fixes and updates. To achieve that, software developers started working together in rooms without walls, so they could talk through changes in real time. IBM isn't alone; Reddit and Bank of America, among others, have also recalled some remote-work employees. Gherson says employers in many industries, not just in software, are seeing the same shift. "It's bleeding into other forms of work — so you're seeing that in marketing, as an example, where you see campaigns that are continuously getting feedback from the market on an hourly basis," she says. Robert Martin, a software consultant and early advocate of what is known as the agile work method, says collocation is a key part of collaboration. "The collaborative nature of being agile means that people need to be close to each other, they need to be in the same room. Because we're making many rapid changes in sequence, we have to be able to communicate those changes quickly," he says. Martin was among 17 software developers who, in 2001, created and signed a document called the Agile Manifesto. The simple premise was that building software needs to take into account the very nature of the product — incorporating and welcoming change at every stage. "The word 'software' means, you know, flexible product," Martin says. He and his fellow developers didn't think the manifesto would gain traction, but they posted it online and tens of thousands of engineers signed the document. Agile became a movement that other industries modeled. Of course, not everyone thinks remote work hurts collaboration. In fact, overall, telework continues to increase. According to the Society for Human Resource Management, 40 percent of employers allow employees to regularly work from home. Jay Friedman, chief operating officer for the Goodway Group, a digital marketing firm, says working from home is important to his company; only a handful of its workers on any given day head into the office. "We found that the talent was not necessarily all in Philadelphia, where headquarters is, or all in Dallas, where I am," he says. Friedman says some things are challenging, like having to terminate an employee over video conference. But overall, he says, the company's setup actually improved communication and coordination. "Being remote forced us to document more — so document decisions, document learning, training, etc. — and that actually reduced the amount of time and back-and-forth," keeping everyone on the same page and on task, Friedman says.